With these bibs, our kids will not go unnoticed. Its design, colors and prints will give a very soft and original touch to your outfit for a special day. They will be a perfect ally for weddings, baptisms and communions. They are made with cotton fabrics 100%, for the front, and of Terry (towel), for the back. The closure is Velcro and, to give a more delicate touch, they carry a decorative button. Its size is ideal for children up to a year old, depending on the small. The fabrics I use are of the highest quality, they are meticulously chosen and come from manufacturers from different parts of Europe. 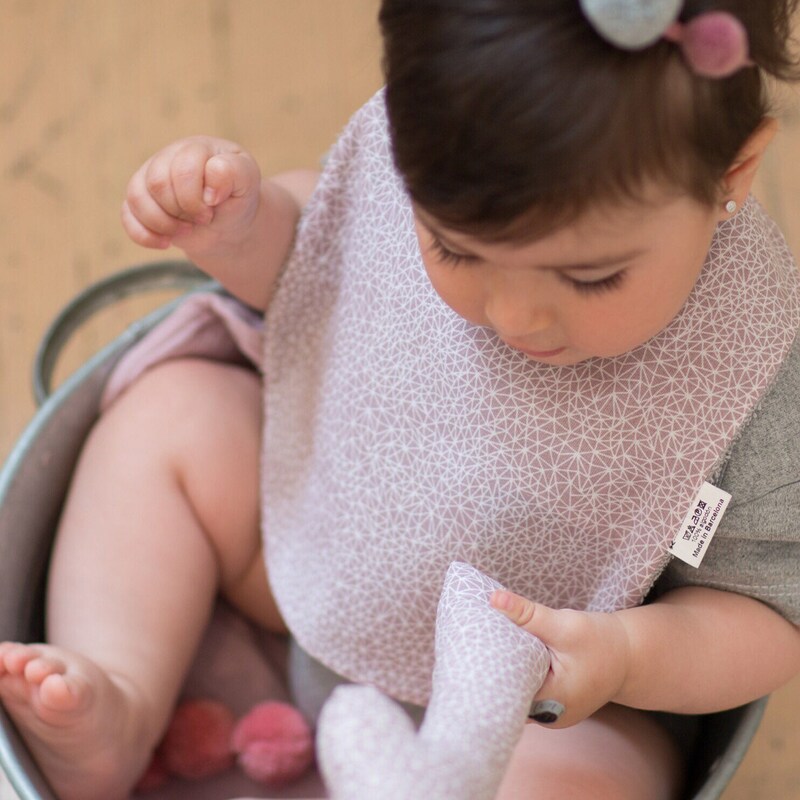 Once it is in your hands, for optimal results, I recommend washing the bib at 30 º and air dry, running away from the dryer.